This ^ described daemons to us so much -- so much so, we decided to put it on the front of our t-shirts! * We apologize for the audio in this episode 😐. We had some technical difficulties (it affected this episode and one other). Therefore, Valerie sounds like she's calling into the show from outer space via satellite - aka, the computer's built-in microphone was used (the same mic you would use while using Facetime or Skype --- not meant for recording a podcast). There was also some audio bleed in the episode so you'll hear some echoing of words. We did what we could post-production to make it bearable (adjusting volumes and levels). We have since identified and corrected the problem! What Would Philippe Do (WWPD)? He would adjust accordingly and proceed as planned. That's what we did here. The show must go on. Thanking you for your patience in advance! * Thanks to our Discussers! (01:07) Thank you, Laura, Michelle, Aly (her email is read later in the episode), and finally Alyssa, who says her previous experience with demon characters were from shows like Supernatural, Buffy & Angel, and the book series by Kelley Armstrong, Women of the Otherworld. 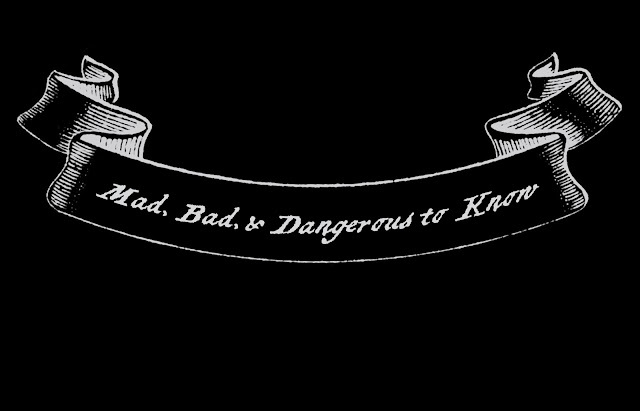 "There are also daemons—creative, artistic creatures who walk a tightrope between madness and genius. “Rock stars and serial killers” was how my aunt described these strange, perplexing beings. And there are vampires, ancient and beautiful, who feed on blood and will charm you utterly if they don’t kill you first. When a daemon takes a look, I feel the slight, unnerving pressure of a kiss." "Even though they’d followed me around college, I knew even less about daemons than I did about vampires. Few seemed to understand the creatures, and Sarah had never been able to answer my questions about them. Based on her accounts, daemons constituted a criminal underclass. Their superabundance of cleverness and creativity led them to lie, steal, cheat, and even kill, because they felt they could get away with it. Even more troublesome, as far as Sarah was concerned, were the conditions of their birth. 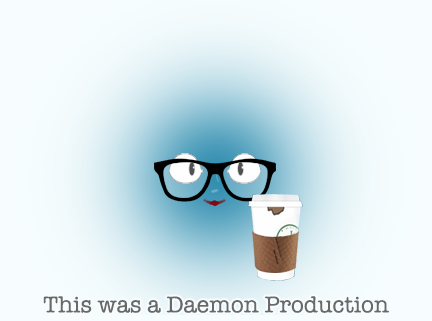 There was no telling where or when a daemon would crop up, since they were typically born to human parents. To my aunt this only compounded their already marginal position in the hierarchy of beings. She valued a witch’s family traditions and bloodlines, and she didn’t approve of daemonic unpredictability." “No,” I whispered, shaking my head. * Dionysus (06:48) - Wikipedia link here: Click! In Cuba a widespread custom is to spill a drop or two of rum from one's glass while saying "para los santos" (‘for the Saints’) This custom is similar to the practise of Visayans living on Mindanao, the Philippines, where they spill a capful of rum as soon as the bottle is opened while saying "para sa yawa" (’for the Devil'). In Russia and surrounding countries, it is an old tradition to pour vodka onto a grave, an act possibly connected with dziady custom. In the contemporary United States, there is a tradition of pouring libations of malt liquor from a forty before drinking, which is particularly associated with African-American rappers. This is referred to as "tipping" to one's [dead] homies (friends), or "pouring one out". This is referenced in various songs, such as the 1993 "Gangsta Lean (This Is For My Homies)" by DRS ("I tip my 40 to your memory"), and sometimes accompanied by ritual expressions such as "One for me, and one for my homies" as well as the 1994 song "Pour Out a Little Liquor" by 2Pac. This is occasionally parodied, as in Austin Powers: The Spy Who Shagged Me (1999). This can also be seen in HBO's period drama series Boardwalk Empire, when character Jimmy Darmody pours a beverage on the ground "to the lost," referencing deceased World War I veterans. The act is also shown in the animated television series The Simpsons in the episode Kill the Alligator and Run, where Kid Rock is seen to pour from a 40 oz." Visit the page to see the full listing on Libation (no, we didn't edit it!). Beautiful gardens at Chatelherault Country Park in Scotland. 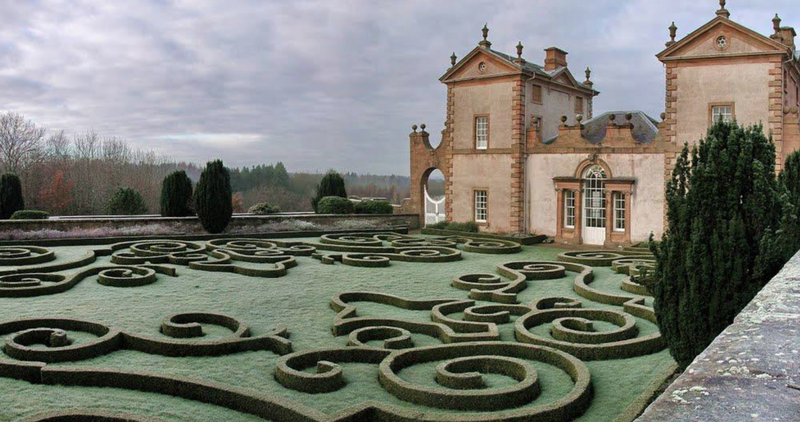 Chatelherault is the inspiration for Hamish's lodge. "They had their drinks in what had once been the lodge’s reception area. Its windows looked out on the gardens, which were still kept in orderly, classical parterres despite the fact that their proportions were all wrong for a hunting lodge. They were too grand—they belonged to a palace, not a folly." a. Tweet about it! Click here to tweet about us!